Hi everyone! It's Chris from Autism Classroom News. Did you know that March is Youth Art Month and Music in Our Schools Month? 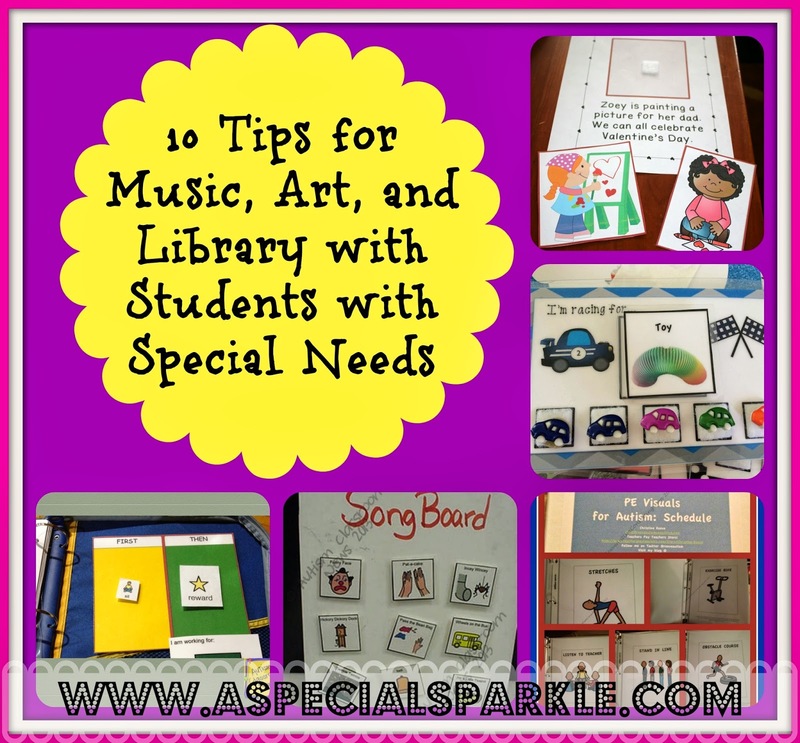 So, in honor of that I thought I would share some tips that I have found useful for teachers who teach music, and art, and other special classes like library for classes of students with special needs. The strategies I'm going to share are effective for kids with autism, but they are also useful for all types of students with all types of needs. Some of these strategies will be used more with students with significant disabilities, but some will work with students with less apparent disabilities. And I have some resources to share as freebies as well. In polite society we often ask people if they will do something or if they want to do something for us rather than just telling them to do it. For many kids with special needs, they will take this literally. You are better off giving directions simply and directly. Try saying "Sit on the green square" rather than "Do you want to have a seat?" Try "Point to the bird" instead of "Do you know which one is the bird?" If you want them to answer a question, then ask a question. If you want them to do something, tell them what it is directly and succinctly. 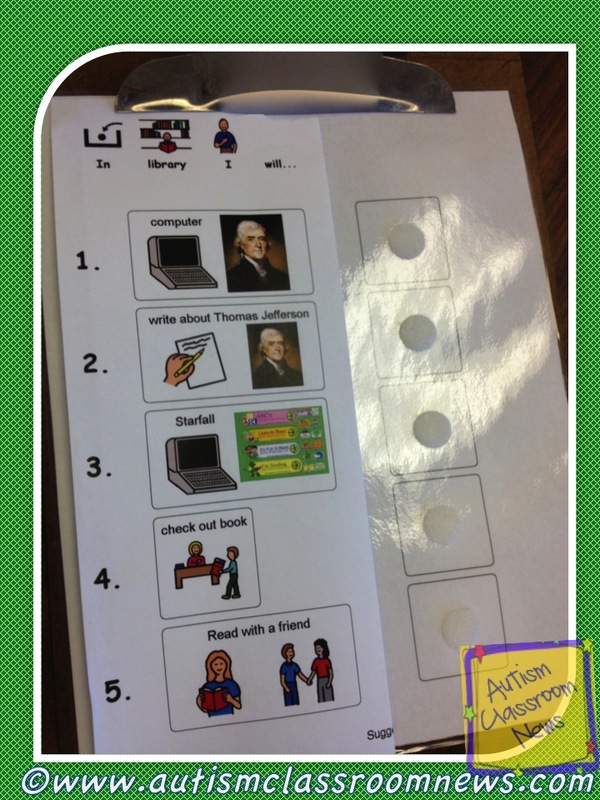 In addition to being clear with directions, it often helps to add visuals for students who have difficulty with communication. Keep in mind that even though a student seems to talk fine, they may still have difficulty understanding your communication. Even our gifted students with autism often struggle with understanding others' language. Whether you present it with visuals or present it just verbally, it's helpful to present tasks that the student struggles with as first [the difficult task] then [something you like]. Presenting it visually helps to keep from it being a negotiation because they can't argue with the pictures. 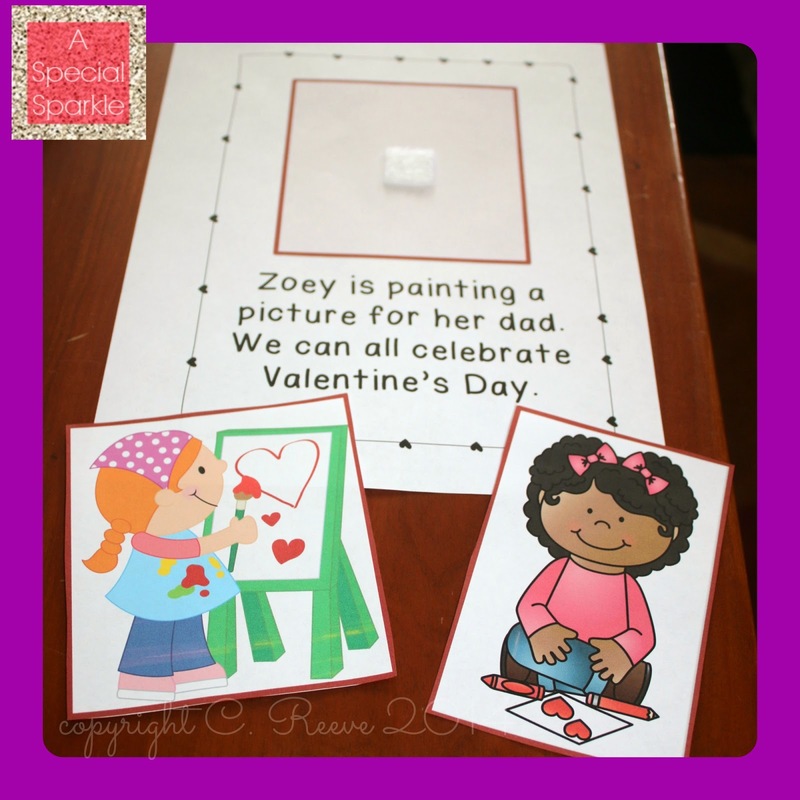 You could use a written one instead of pictures for a child who reads. Using it proactively makes it more likely the student will be successful. 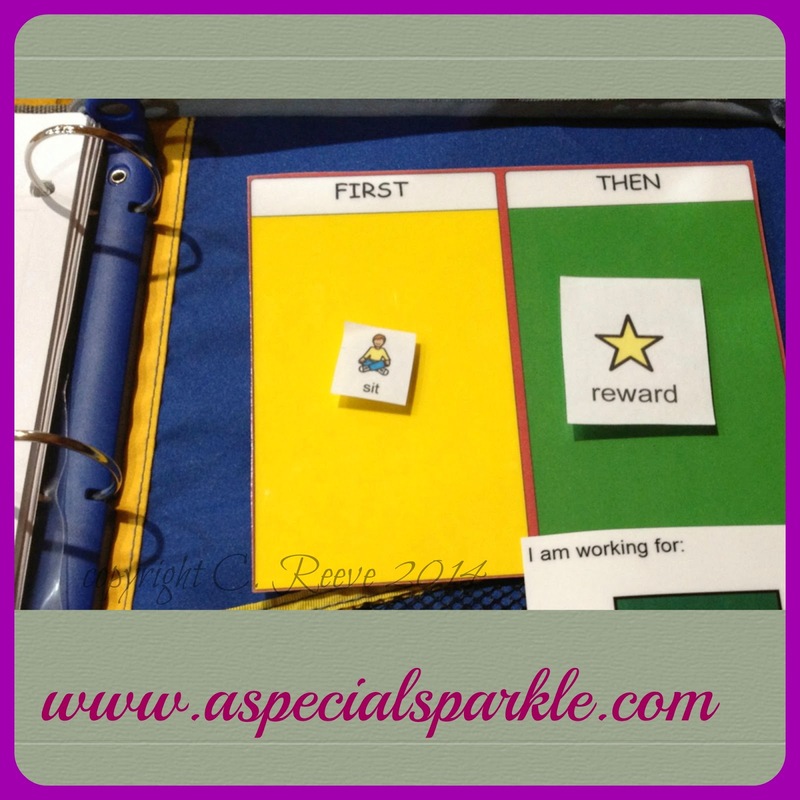 You can download a first-then board of your own at my TPT store here. The more that you can create activities that are hands on and keep students engaged, the less challenging behavior you will see. The picture here is of an interactive book with visuals that students can match. I've also done this type of book by making copies of the book pages and giving the students pictures of the different characters to hold up when they get to that page. This is a schedule for activities during library for a student. This type of schedule, that lets the student know what will happen during class, increases the predictability. We all like routine and predictability. Having the class be more predictable and being able to anticipate when things will happen is comforting to most students and prevents challenging behavior. It also makes it more likely that they can participate in activities more independently. 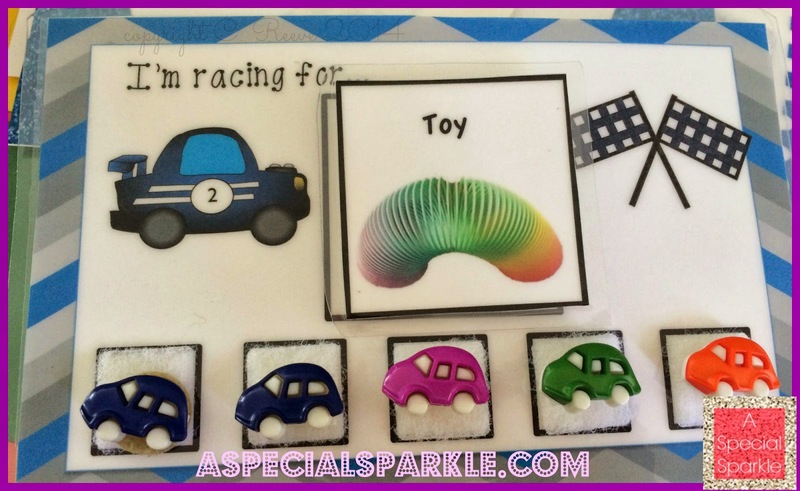 Making a schedule typically requires collaboration between special educators and the specials' teachers but that collaboration to create a visual schedule to match the lesson plan can be the difference between a 30-minute tantrum and a successful class. When you are able, it helps to give the students choices. 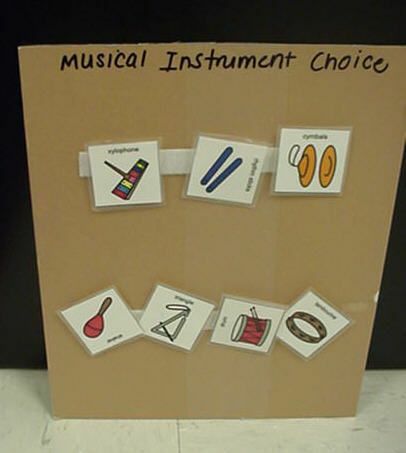 Choices can be about what materials to use, which songs to sing, what order to complete activities in, or even who they want to sit by. The choice can be presented verbally, but sometimes it really helps to present them visually as well. This also makes it easier when something is no longer a choice. For instance, in the music choice board below, when certain instruments have been chosen, they are no longer on the board as they are no longer available. You can download a set of visuals to make this music choice board for $1 here. Work with the special education teacher to develop visual supports for communication for those students who are either nonverbal or whose verbal skills are not always functional (i.e., they can sing the Kookabura song perfectly but they never ask for anything they need). 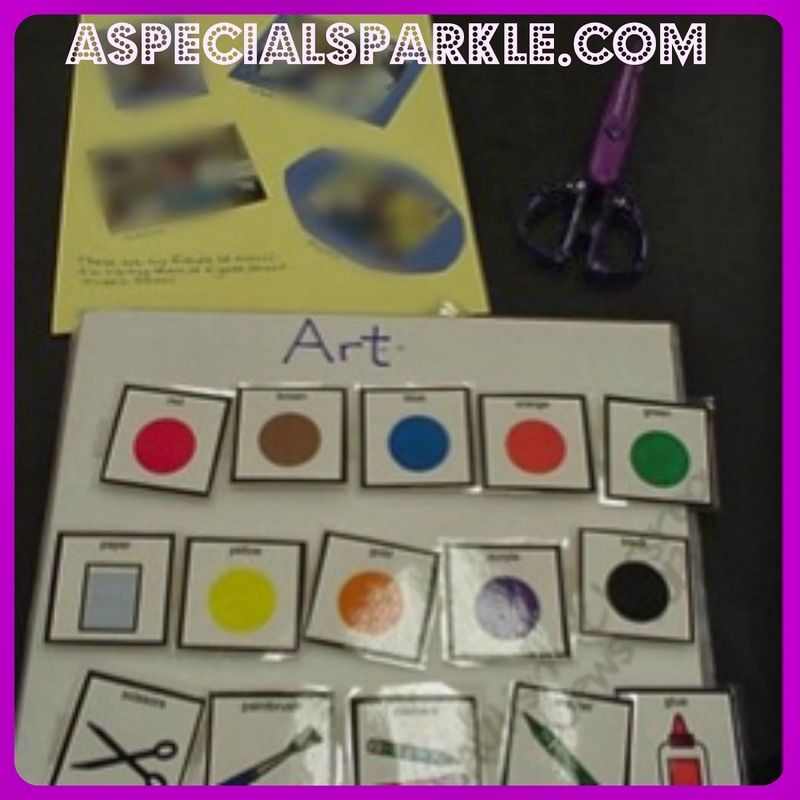 The art board here is available free and can be used to support a variety of art activity-based communication as a start. If you have students who use iPads or speech generating devices, work with the speech pathologist and special educator to let them know what vocabulary would be helpful for your class for the student to participate in a meaningful way. Many of our students need time to process the information they just heard. Give a direction and then wait for 5 or 10 seconds before jumping in to help them or repeating the question. If the first direction didn't work, try adding visuals the next time. Sometimes it just takes a bit for the student to understand and then to formulate the answer. Whether you are reinforcing each time the student does something or reinforcing using something like the token board below, make sure to collaborate with the team to find out what specific behaviors you are working to reinforce. The team should decide on what behaviors they specifically want to give tokens for and then everyone can be on the same page and the child is less confused. Token systems are a good way to let a student know that he is doing the right thing, whether it's staying in his seat or doing the next step on his art project. 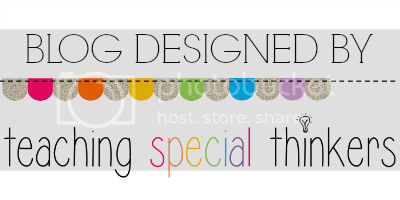 You can download a set of similar token boards in my TPT store for free here. As the art teacher, or the music teacher or the librarian or whatever other related arts class you teach, you have the opportunity to recognize special talents in students beyond the academics and nurture those talents. Many of our children with special needs have special affinities or interests related to your area. Take the time to find those gifts and highlight them for the team. Nurture those interests for them...they may be the beginning of a budding career as a musician, an artist, or a librarian. So most of all, enjoy getting to know our special students, as they have much to offer. I hope this has provided some ideas that might be helpful for a group of educators who often don't have much training in working with students with special needs. 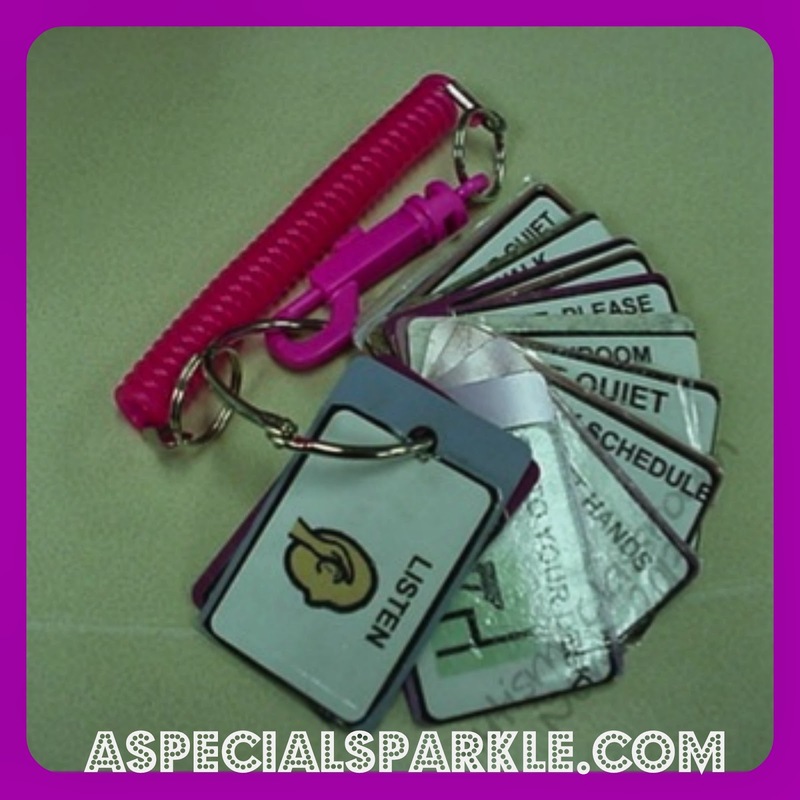 For more resources and ideas, you can check out my blog at Autism Classroom News or any of the other great posts from this blog that focuses specifically on special education.